You can be fooled as you tee off on the opening par-5 as the fairway is more receptive than it looks. You need to avoid the fairway bunker with your 2nd shot before attempting your approach into the very well-protected green. 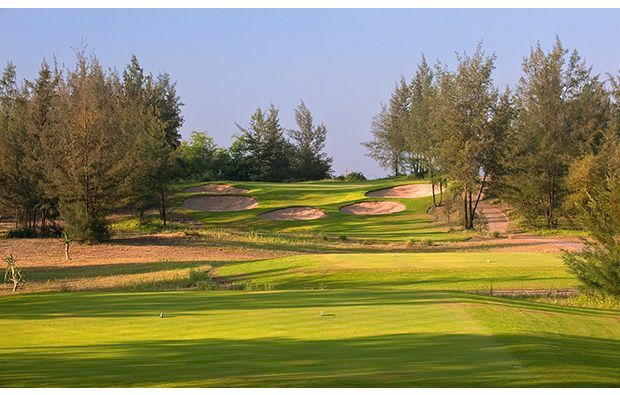 A beautiful par-3 to follow which is partially sheltered by the native casuarina trees but can still get affected by the prevailing winds. The 4th is a long par-4 with several well-placed fairways bunkers waiting to swallow your tee shot and then a relatively simple approach into a bowl-shaped green. The 4th is a driveable par-4 and the shortest on the course but you need to avoid the water on the right. On the par-3, 5th you have to play across water all the way to the green and club selection is tricky as the winds can vary. 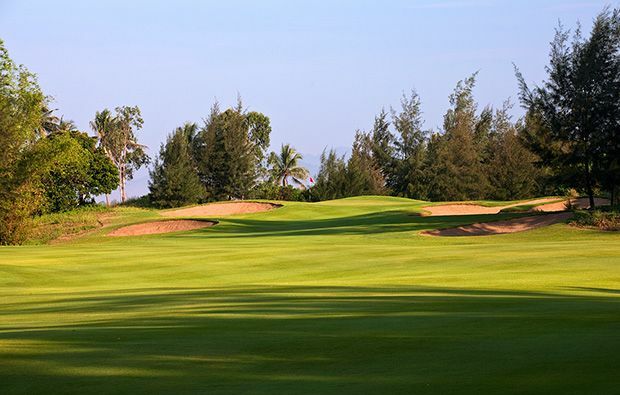 Just beside the 6th tee box is a pillbox from the Vietnam War and we hope it won’t put you off as you tee off downhill trying to keep to the right of the fairway which gives you the best position to play into a green with water along the left. Slightly unnerving blind approach on the par-4, 7th but no hazards await you. The sloping 8th fairway has a tendency to push the ball to the right so you need to flirt with the fairway bunker to be best positioned for your approach. Wonderful finish to the front 9 as you tee off between the casuarinas towards the large green protected by water on the right. As you start home the 10th has a wide-open fairway allowing you to take on the dogleg over the trees but the deep green means you have to watch for the pin position. The uphill par-3. 11th is very well protected by a wall of bunkers so take an extra club here. No less than 17 bunkers on the par-5, 12th so careful shot making is required to avoid them – sloping green means you should try to keep below the pin as its very quick downhill. You can open your shoulders on the downhill par-4, 12th but the approach is tricky. The 14th is a long par-3 with water along the right and bunkers giving the green further protection. The 15th is a driveable par-4 but plenty of risk if you don’t catch it out of the middle. The 16th is a visually stunning hole and providing you can avoid the right side fairway bunker it’s a scoring opportunity. You get close to the dunes on the 17th but be sure to avoid the fairway bunkers and set yourself up for a simple approach. 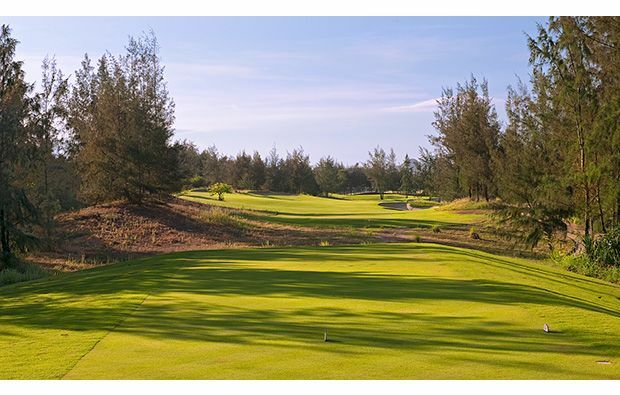 The longest hole on the courses to finish as you work your way uphill to the undulating green past numerous fairway bunkers – this is a birdie opportunity for the big hitters. 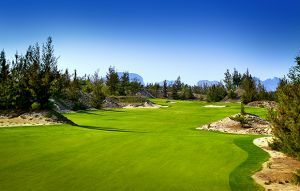 There is a large, modern clubhouse and excellent practice facilities. 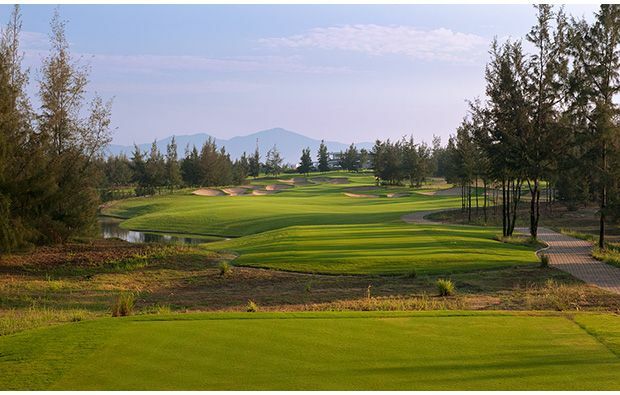 Montgomerie Links has different Services to offer. Choose a date and number or players to see the rates.